Dial out of Salesforce in just a single click. 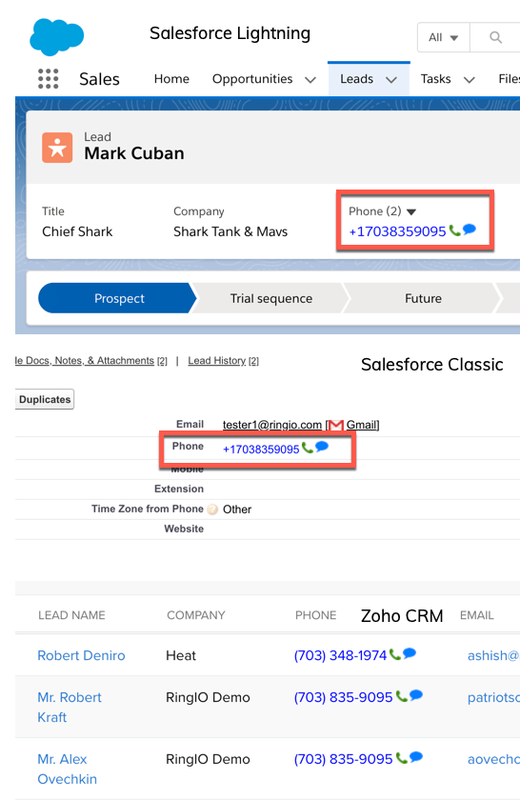 With our native Salesforce plugin, your sales team can just click on any phone number in Salesforce to start making calls. No more manually dialing leads. Use your existing Salesforce lists and reports to prioritize leads. Increase sales productivity by eliminating manual dialing. Leave the perfect voicemail everytime with voicemail automation. Automatically log call data to the right Salesforce object so you can move on to the next call. When it comes to modern selling, how fast you respond to potential customers can have a big impact on your close rates. With our Salesforce Click-to-Call plugin, your sales team can quickly call leads the second they're in your CRM. For most sales & customer support teams, Salesforce is their command center. Our Click-to-Call plugin lets you spend more time in Salesforce and have all the information you need to close deals right in front of you on every call.